Central Piedmont is committed to maintaining a safe and productive teaching and learning environment for students and employees. The college endorses the federal government’s efforts in implementing the Drug-Free Schools and Communities Act of 1989. This means that illegal substances, such as marijuana, heroin, and cocaine, are not permitted on Central Piedmont’s campuses. Alcohol and tobacco are also among the substances which are not permitted on our campuses. Visit the Central Piedmont’s Drug-Free Web page. Please also know that the Collegiate Recovery Community is a great on-campus peer-support resource for students in recovery. Visit the CRC site. Central Piedmont Community College is committed to maintaining a safe and productive teaching and learning environment for students and employees. CPCC endorses the federal government’s efforts in implementing the Drug-Free Schools and Communities Act of 1989. This means that illegal substances, such as marijuana, heroin and cocaine, are not permitted on CPCC’s campuses. Alcohol and tobacco are also among the substances which are not permitted on our campuses. Thank you for helping keep CPCC drug-free! Central Piedmont Community College is committed to maintaining a safe and productive teaching and learning environment for students and employees. CPCC endorses the federal government’s efforts in implementing the Drug-Free Schools and Communities Act of 1989. This mean that illegal substances, such as marijuana, heroin and cocaine, are not permitted on CPCC’s campuses. View the CPCC Drug-Free Web page. 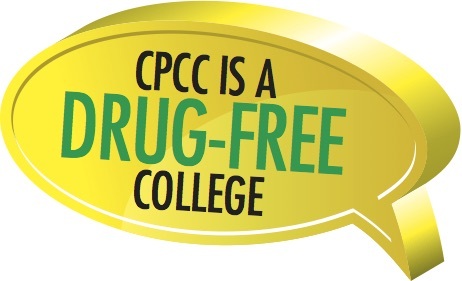 The CPCC Drug-Free Web page can be found at http://www.cpcc.edu/ican/about-us-2/drug-free-college.